Breastfeeding, a beautiful thread woven between a mother and child. A phenomenal process that binds the mother and the baby forever. The very point, where the tender care and the touch of the mother can be seen and felt that lingers on forever. Since it is extremely important for both the mother and the baby, every possible care should be taken about what she eats, if she gets the adequate rest and sleep, the kinds of food she needs to consume. Breastfeeding enables the baby to get the best nutrients from the mother’s milk, so one should have a list of items which help and the ones which are not good. Several myths have been floating regarding the food allergies that are caused by consuming foods like beans, broccoli, cabbage, etc. Some people are of the opinion it causes gastric tendencies while others suggest it is difficult to digest. So let us have a look at one such food which is beans. We shall get an insight on how safe is the consumption of beans while nursing as well as its benefits and side effects. To simply put, beans are the full-grown form of legumes. You can find it without difficulty in the market. It comes in canned, frozen, or dry forms. Vegetarian people consume beans as an alternate for animal protein as beans are a rich source of plant protein. Beans are good source of potassium, folate, and dietary fiber. As discussed earlier, breastfeeding needs a vigilant control over the diet as it also affects the milk supply and the quality. Ideally, it should have a proper blend of food from all groups, whether it is protein, iron, calcium, vitamins etc. Beans, are considered as a superb source of plant proteins and has a good mix of iron as well as zinc. It is ideal for vegetarian people who do not consume animal protein. Beans even comprise folate, potassium as well as nutritional fiber intake. As per medical experts, all breastfeeding mothers can consume beans safely without being worried. They are not only economical but have a set of added advantages like constipation issues, helping in reducing fat and they even offer energy to a mother while she is nursing and even enhances the milk production. Continue reading to understand the benefits of beans during breastfeeding. Fights Cancer: Consumption of beans helps in minimizing symptoms of cancer as it has a good content of cancer-fighting chemicals like that of phytosterols and isoflavones. Prevents Cardiovascular Disease: As per medical research, it has been found out that beans are rich in iron as well as nutrients and even helps in reducing the risk of cardiovascular diseases. The phytochemical that is present in the bean helps to protect the body against any sorts of cardiac arrests or ailments. Supports Weight Loss: Every mother gains weight at the time of the pregnancy, and the biggest cause of concern and worry for her is to shed those extra kilos. Beans are loaded with rich fiber and also help with nourishment and providing energy as well. It is also helpful in regulating the ideal body weight right after the delivery. Lowers Cholesterol: Beans are densely loaded with fibers and the soluble fiber content keeps the blood cholesterol level under control during the course of breastfeeding. Both the important contents of saponins as well as phytosterols are a major contributor to minimize the bad cholesterol levels. Manages Blood Sugar Level: Intake of beans is ideal for a diabetic patient as it has the correct balance of proteins as well as carbohydrates that help in controlling the blood sugar levels. Raises Blood Pressure Levels: Even though beans are considered to help in reducing blood pressure levels due to its high protein content, yet it is a cause of concern for those mothers who are already on a dosage for postpartum depression, as they are having an intake of monoamine oxidase and consuming beans at that time can raise the blood pressure levels and can counteract with the medicines given. 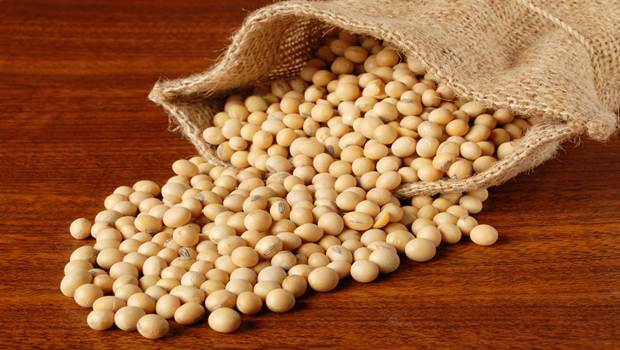 Interferes With Vitamin Absorption Process: Few varieties of beans, especially soya beans are known to hinder the absorption process of Vitamin D, B12, and beta-carotene. So, it is ideal to consume your daily vitamin prerequisite by intake of ample quantity of fresh fruits, nuts, dark leafy green vegetables as well as lean red meat during breastfeeding. Initiates Gout: If you are diagnosed with gout, it is advisable to consult the doctor before including beans in your diet chart. Due to a high purine content found in beans, lentils, dried beans, legumes, etc. the gout patients should stay away from consuming them as it elevates the uric acid levels and triggers gout attacks. When Not To Eat Beans During Breastfeeding? If your baby shows signs of colic issues (like crying unusually after he/she has been breastfed ) when you take the beans.. If you are at a risk of high uric acid level in the body, it is always wise to keep away from the foods that are rich in protein like beans. There are some tips that help to reduce/avoid colic problem in your baby due to your consumption of beans. Use the beans that are soaked overnight for cooking . Remember to change the soaking water for 2-3 times before you use it for cooking. Pressure cook, mash or boil the beans in water before consuming it. Remember to discard the water used for cooling. This way, you can get rid of the indigestible carbohydrates of the beans, thereby, reducing the gas formation. To avoid colic in the baby due to beans in the mother’s diet, add herbs like fennel, lemon balm or caraway while cooking. The acidic elements are found to help in preventing flatulence.